​At Estaso Trading we work closely with manufacturers, distributors, carriers and retailers to convert devices from secondary market into resell opportunities. We are committed to providing high quality products by sending them through our diagnostic software so our customer can purchase with confidence. We strive to be a responsible and profitable wholesale center of used and certified pre-owned mobile devices. Our employees know what is needed in order to suitably remarket and resell our product which is why we have a process that includes being scanned in, tested, logged and is backed by a guarantee prior to shipping out. Estaso takes steps to be friendly to the environment and partnered with a local R2 recycling facility to insure non-working devices are disposed of properly. ​Our team has knowledge, experience, and our great customer service and they are available around the clock to assist you with any of your purchasing needs. Our vast international client base allows us the opportunity to be part of a diverse set of markets. Estaso is constantly looking to expand its client base and would love the opportunity to work with you. We are confident in what we do and we love what we do. With the amount of diverse business solutions, we are able to keep the inventory in weekly rotation which allows us to offer our best prices based on current market. We value our relationships with clients and work hard to keep them satisfied with every purchase. Devices are tested using diagnostic software to ensure the products are in working condition. Once tested they are separated into different cosmetic conditions and offered to secondary market. 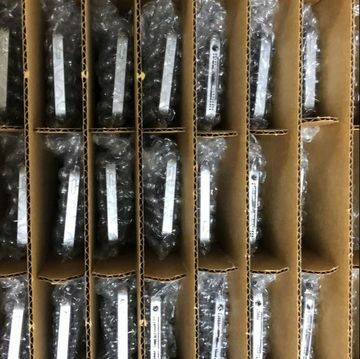 Each phone is labeled, scanned and individually packed in protective sleeve to avoid damage in shipping.